Lorenz Grollo has sold the prominent Makers Mark building, doubling its value in less than two years as he prepares to revamp the Rialto Towers. 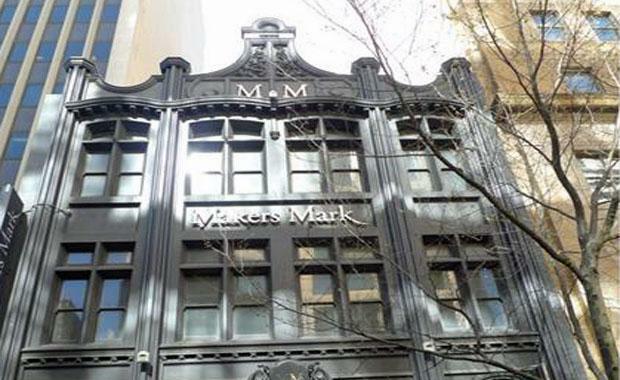 According to the Australian Financial Review the Golden Age Group, headed by Jeff Xu, acquired the Makers Mark Building for $25 million. The historic 483 square metre building was sold to Mr Grollo for just under $10.5 million in later 2012. In May this year Mr Grollo put Makers Mark on the market via CBRE’s Mark Wizel, Josh Ruthman and Tom Tuxworth. Selling the Makers property will allow Mr Grollo to focus his efforts on Rialto Towers. With co-investor, St Martins Property, Mr Grollo plans to launch a $100 million rejig of the Melbourne landmark, adding 9000 square metres of retail space in the forecourt and refurbishing the towers. “We’re going through a once-in-a-lifetime generation rests of this asset,” Mr Grollo told the Australian Financial Review. According to the Australian Financial Review, Mr Grollo is also releasing a second Collins Street landmark into the market, the $75 million Goods Shed North which he redeveloped at the Docklands end of the boulevard. Mr Grollo has opted to put the heritage listed building to the market through JLL’s James Kaufmann and Robert Anderson and Colliers Nick Rathgeber and Leigh Melbourne. “It’s largely about the Rialto for us,” Mr Grollo said.